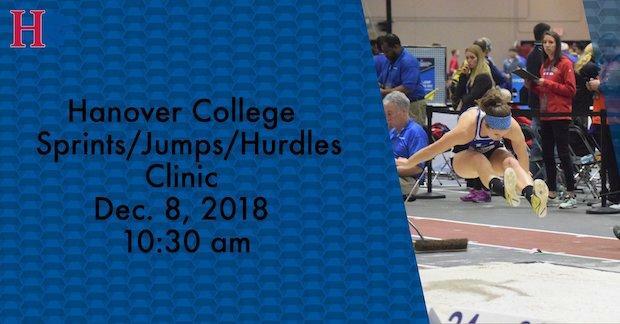 What: A clinic type format for coaches or anyone interested in learning about various elements of sprints/jumps/hurdles training, developing athletes, and building championship team cultures. 4:40pm - 5:30pm: Jesse Hicks, Avon High School, Indiana - Strength Maintenance Program Without the Benefit of a Weight Room. Mike Davidson- Ben Davis High School (Indianapolis, IN) - Coach Davidson has been the Ben Davis head boys track coach for 28 years. During this time, Ben Davis has had 19 top ten state meet team finishes in Indiana's 1 class system, including two 3rd place finishes, five runner-up's and 3 state titles. In 2011, his Giants earned a spot at the Nike Track Nationals in Eugene, Oregon where they placed 4th out of 12 teams. Through his tenure, Coach Davidson has had 28 event state champions, including nine 4x100 state champions and four 4x400 state champions. Inducted into the Indiana Track Hall of Fame in 2012, Coach Davidson has been Indiana Coach of the year 3 times, NFHS Midwest Region Coach of the year in 2010 and also honored as a National Coach of the Year finalist by the NHSACA. Brian Cashdollar - Manchester University (North Manchester, IN) - A four-year letter winner and two-time team captain for the track and field team at Ball State University, Cashdollar joined the Manchester staff in 1999. He has won 17 Heartland Collegiate Athletic Conference Coach of the Year awards, the 2011 Great Lakes Regional Coach of the Year award, and coached 17 HCAC Championship teams. Cashdollar has coached two individual national champions, two individual national runner-ups, nine All-Americans, and 29 National Qualifiers. Ashley Andres - East Central High School (St. Leon, IN) - a 9-time state qualifier in track and field in the 100m hurdles, 300m hurdles, 100m dash, high jump and long jump at East Central HS and All-American in the heptathlon at the University of Cincinnati. Andres competed for Nike and Team USA post-collegiately finishing third in the USATF Indoor Pentathlon, fourth in the Pan-American Combined events sixth in the USA vs German dual, and seventh in the 2008 Olympic Trials. As a coach, she has coached four consecutive IHSAA Championship teams and has coached state qualifiers in the 4 x 400m relay, 4 x 800m relay, 300m Hurdles, and the pole vault. James Greenlee - Marion C. Moore High School/The Louisville Track Club (Louisville, KY) - USATF Level 1 & Level 2 Sprints/Hurdles/Relays Certified. Greenlee has coached 34 KHSAA Region Champions and 90 KHSAA State Qualifiers in the last five years. In 2018, he coached the KHSAA 2A Boy's 400m State Champion and 2A Boy's Triple Jump State Champion. Also coached the 2017 KHSAA 2A Boy's 400m State Runner-Up, 2017 KHSAA 2A Girl's Shot Put State Runner-Up, and the 2015 KHSAA 2A Girl's 4x100 State Runner-Up. Alex Makin - Hanover College (Hanover, IN) - Alex Makin is currently the Head of Sports Performance at Hanover College. Alex has spent several years working with athletes in both the private sector and in the team setting. He has experience coaching athletes internationally at the amateur, semiprofessional and Professional level in a number of different sports. Alex is certified as a Strength and Conditioning Specialist through National Strength and Conditioning Association (NSCA), as a level 2 Strength Coach through the Australian Strength and Conditioning Association (ASCA), as well as the Australian Weightlifting Federation and Sports Medicine Australia. He is also certified in Reflexive Performance Reset. Matt Somerlot - Centerville High School (Centerville, OH) - Head Boys Coach since 2000 and Head Girls Coach since 2015. Midwest Meet of Champions Throws Coach, USATF Staff North American Caribbean Games, GWOC Central and National Men's Track Coach of the Year- 2007, 2008, 2010, 2011,2012, 2013, 2014, 2015, 2016, GWOC Central and National Women's Coach of the Year- 2015, 2016, 2017, 2018. Somerlot has coached 18 Indoor State Champions and 84 Indoor All-State Athletes, four Outdoor OHSAA State Champions and 43 OHSAA All-State Athletes. Jesse Hicks - Avon High School (Avon, IN) - USATF Level 1 Certified. Hicks is currently the sprint coach at Avon High School. He also serves as the strength and conditioning and jumps coach for The Indiana Storm Track Club. As a member of the coaching staff of the Indiana Storm he has been fortunate enough to coach 30 plus All-Americans, and over 15 National Champions, a World Youth Silver medalist and a World Junior Silver medalist. As a member of the Avon staff, his sprinters achieved their first ever individual 100-meter State title as well as their first 400-meter relay championship contributing to an overall total team championship.